A walking excursion in the Nature Park of Alta Murgia or in a Nature Reserve by the sea; a bike tour across the Millenary Olive Groves around Ostuni or along the spectacular coastline between Otranto and Santa Maria di Leuca; a stroll around ancient old towns, in search for the most hidden corners, such as the orecchiette streets of Bari Vecchia to watch pasta hand-making; a visit to a century-old farmhouse where they still make food and wine to traditions, today known all over the world! Puglia offers endless possibilities to enjoy its natural and historical wonders, so guided tours can be organised for groups of any size and with all sorts of interests. Thanks to our sound experience in tour guiding, we can plan customised itineraries and organise the best transport and quality services to suit your requirements. 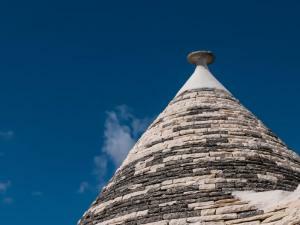 A crescendo of enchanting sceneries: Itria Valley, Alberobello’s trulli, the renowned “White City” of Ostuni and the emerald-coloured sea of Polignano a Mare. Puglia is one of the Italian regions with the highest concentration of pre-historical settlements, starred with many interesting ancient Greek and Roman archaeological sites. 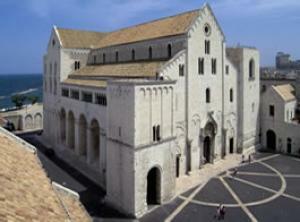 Sculpted with super expertise, the Basilica of Saint Nicholas, Romanesque cathedrals and Swebian Castles are unmissable. 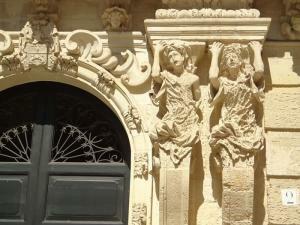 Salento boosts a fascinating mixture of cultural heritage, topped by the museum-town of Lecce and the sea panoramic route between Otranto and Gallipoli.